Order within the next... 4 hours, 9 minutes, 42 seconds ...for dispatch today! 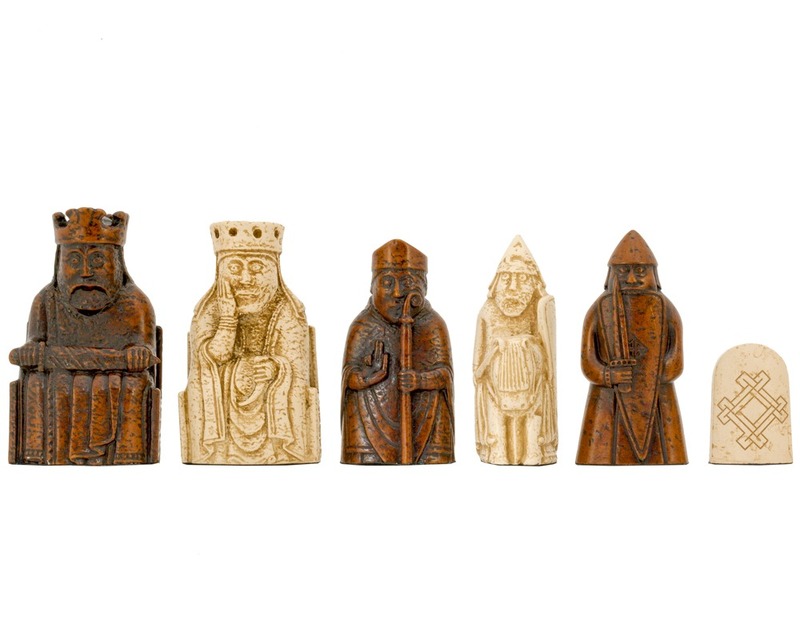 Isle of Lewis chess set from the world's best producers of these sets, the National Museum Scotland. A superb set presented in excellent gift case. Cast from laser scans of originals. Presented in superb gift packaging. 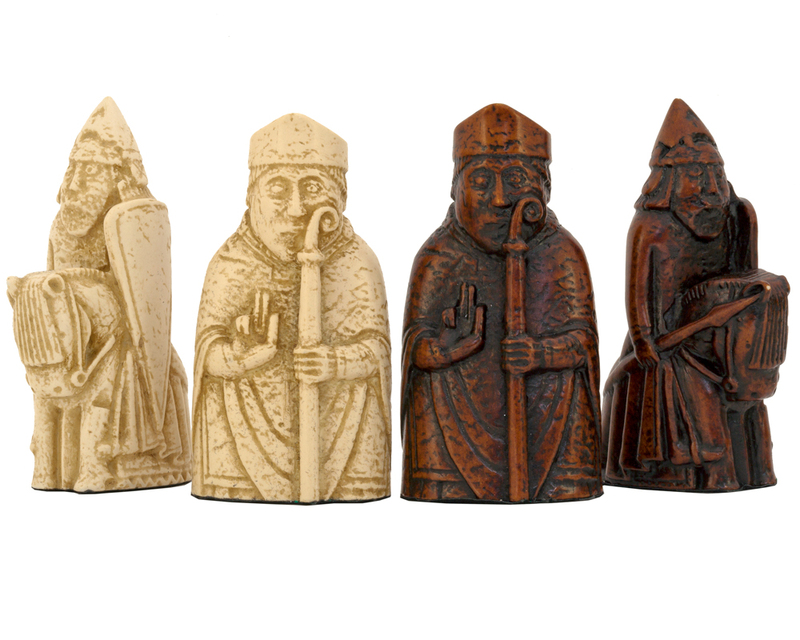 A precise reproduction of the original Isle of Lewis chessmen. 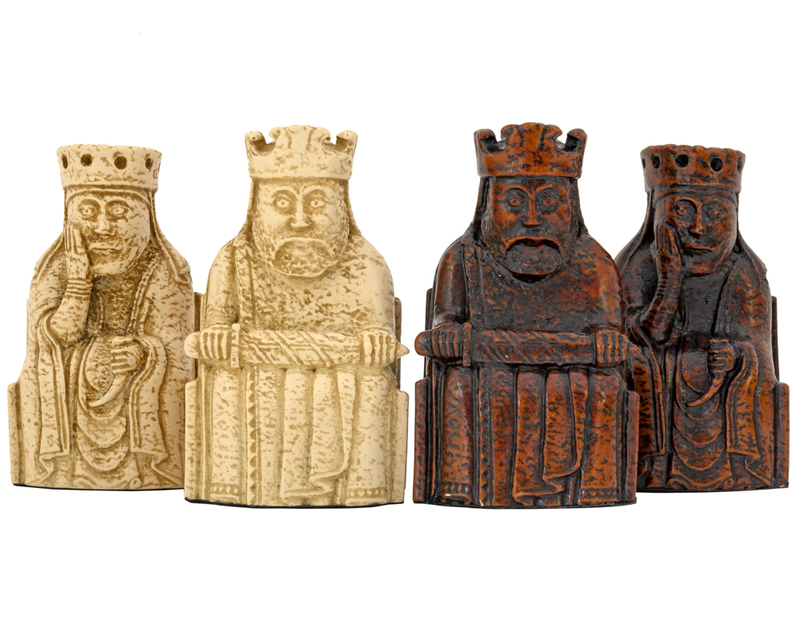 These superb British made chess pieces are brought to you by the National Museum, Scotland. They have been produced from laser scans of the original pieces that are stored and cared for by the museum. The Lewis chess pieces have become an iconic legend and remain one of the most famous and original designs of chess piece. 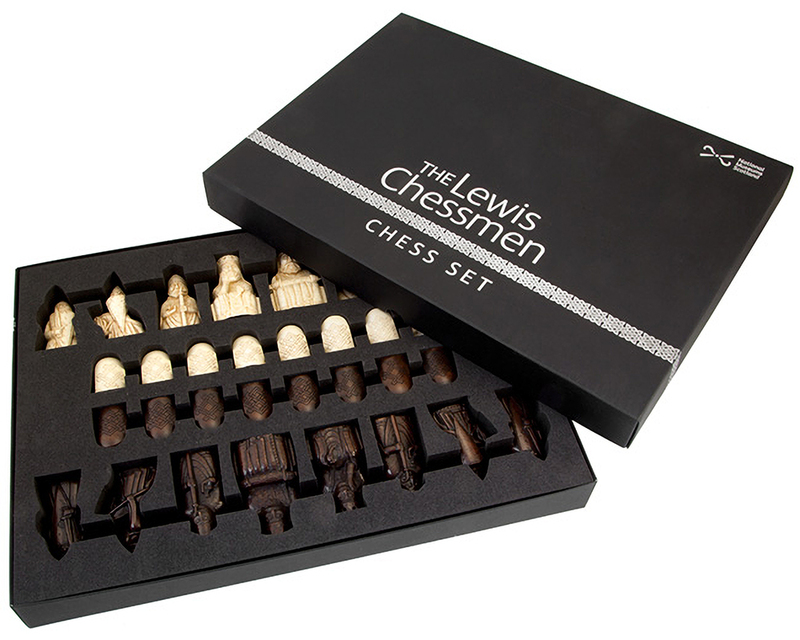 These are the ideal gift for anyone who's looking for a genuine Lewis Chess Set. 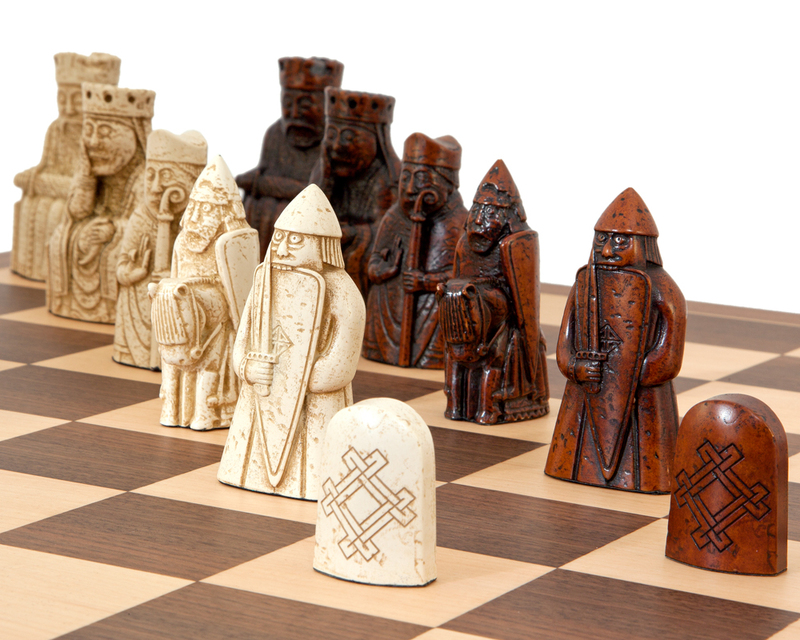 It is said that the chessmen originated from Norway but remained undiscovered for hundreds of years. It wasn’t until 1831 that they were found near the sea edge on the Isle of Lewis, Scotland. Some have argued that the figures were actually intended for a different game and plenty of discussion rages on the origins of the pieces. Despite the arguments and opinions, these pieces are now firmly accepted as being chessmen in the conventional sense. The original pieces remain in the United Kingdom and are on display for all to see. These precise reproductions give you a chance to own a piece of history and enjoy a game of chess in the presence of their majesty and splendor. This Lewis set is without doubt the best on the market. 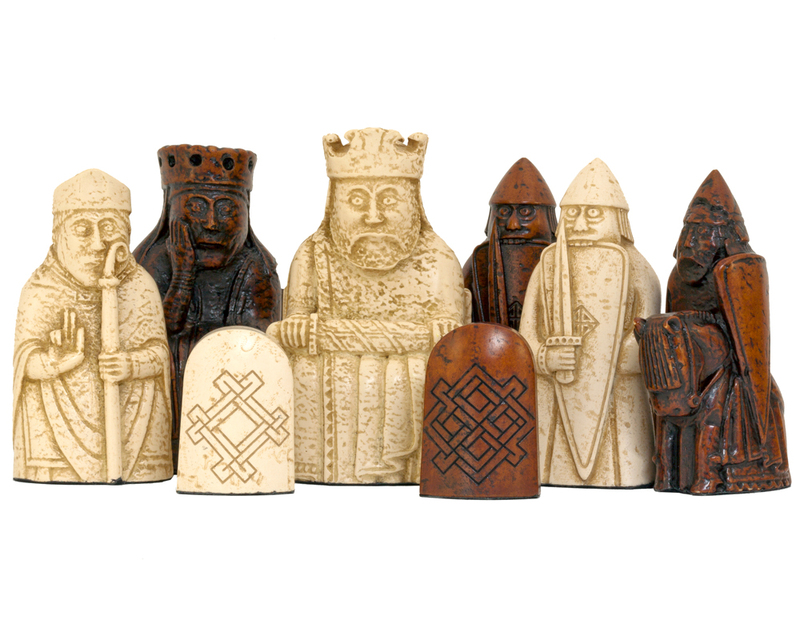 Lovingly crafted in the UK and commissioned by the National Museum Scotland who have become one of the world's authorities on these legendary chessmen. The quality of this set is extremely good with an excellent attention to detail. They are the closest replicas of the originals possible. When commissioned they were created from laser scans of the original pieces, so true accuracy can be guaranteed. "These chess pieces are of superb quality, and along with the historical significance, are worthy of anyone who appreciates the games centuries of enduring perpetuity. I ordered this set (via UPS standard shipping) on a Thursday and received it by Monday and I live in Oklahoma, USA. Thank You for the fast and accurate shipping."